Flatbreads are a fun and easy way to explore bread baking or expand your repertoire. We’ll bake three different kinds of flatbreads that incorporate flavorful whole grain flours and show a range of different flatbread styles. Crispy, salty, or cheesy, flatbreads made with whole grains are like a healthy snack food! Participants will leave with a guide to baking flatbreads at home and a sampling of the day’s bake. **Location**: Class meets at the Presbyterian Friendship Center, 1204 Spring Avenue, La Grande. Teaching Artist Bio: Sarah West is an enthusiastic home baker who works almost exclusively with whole grain flour. 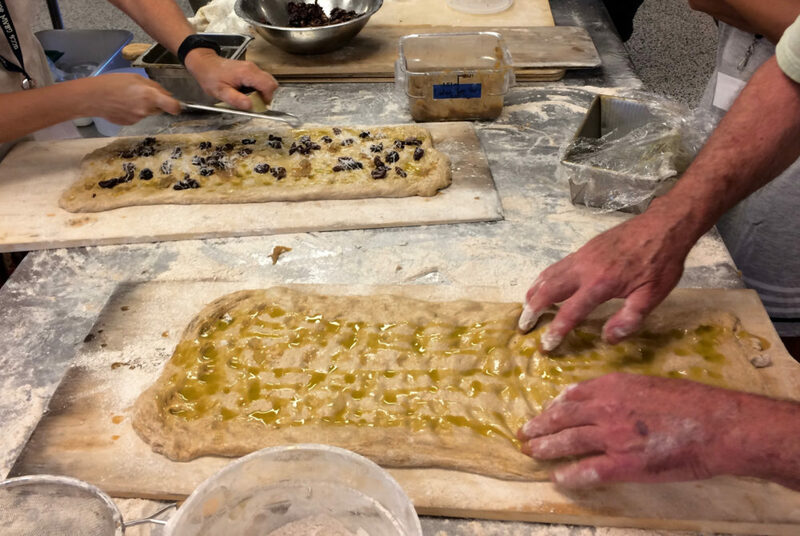 For the past two years, she has attended the annual Grain Gathering at WSU’s Bread Lab to learn from some of the world’s most knowledgeable grain growers and bakers. She cannot wait to share her love of whole grains with you!